When we put together our list of things to do in New Zealand, unashamedly one of the first things on that list was to visit the Marlborough region on the South Island! If you’re into wine, you’ll know the Marlborough region is highly regarded for its wines, in particular the Sauvignon Blanc which we both love. So we took a day off from driving, booked a full day tour with Bubbly Grape wine tours, and we were ready for some serious wine tasting! 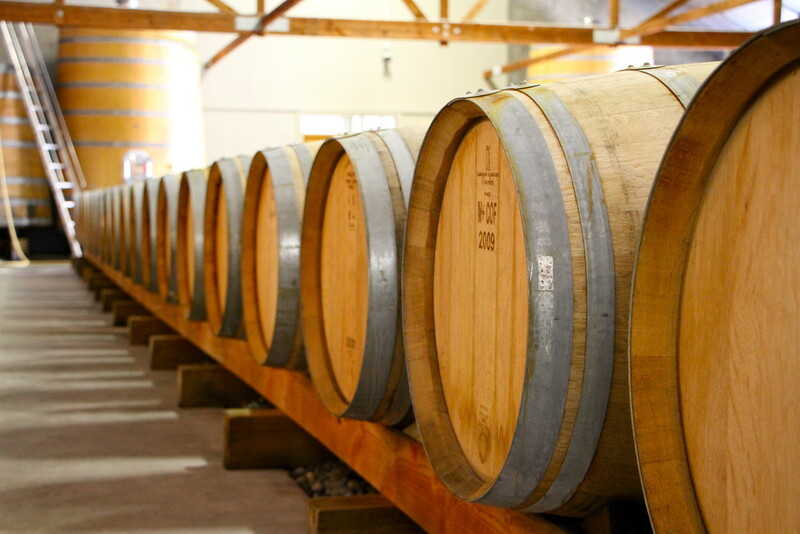 The Marlborough region has around 140 wineries and produces over 65% of New Zealand’s wine, so it’s obviously the place to come to sample some wines! After a day and night settling into the region, the day had arrived. The day I had waited for for months. Kerry, our guide for the day picked us up in a luxurious Mercedes Benz mini bus, and after getting over the shock of it being a lot bigger than the campervan we were living in, we were off to our first winery of the day! 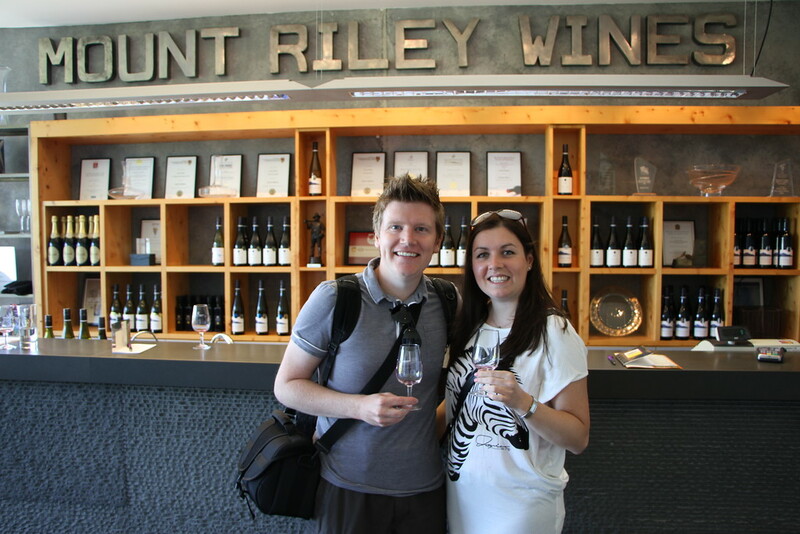 Before starting our tour, Kerry asked us which wineries in particular we would like to go to, and after factoring in everyone’s requests, our small group of 6 were off to our first wine tasting of the day at Mount Riley. We tasted all types of delicious wines here, from Sauvignon Blanc, Chardonnay, Pinot Gris, Gurtwesenger and Pinot Noir, and after purchasing a bottle of our favourite, we were on our way to our second tasting of the day! Pulling up at Lawsons Dry Hills, our host greeted us and lined up a tasting table of tantalising wines. We tried them all as our host explained the nuances and differences of each wine. Again, we couldn’t resist and made a purchase of our favourite wine, ready to go with whatever Barry could rustle up on the stove in the back of the van! Onto our third tasting of the day, and Cloudy Bay beckoned us. World renowned, and owned by Louis Vuitton Möet Hennessy, Cloudy Bay was a winery we had been keen to visit, and so did everyone else on our tour group! Seemingly this is a very popular winery, and it’s easy to see why. 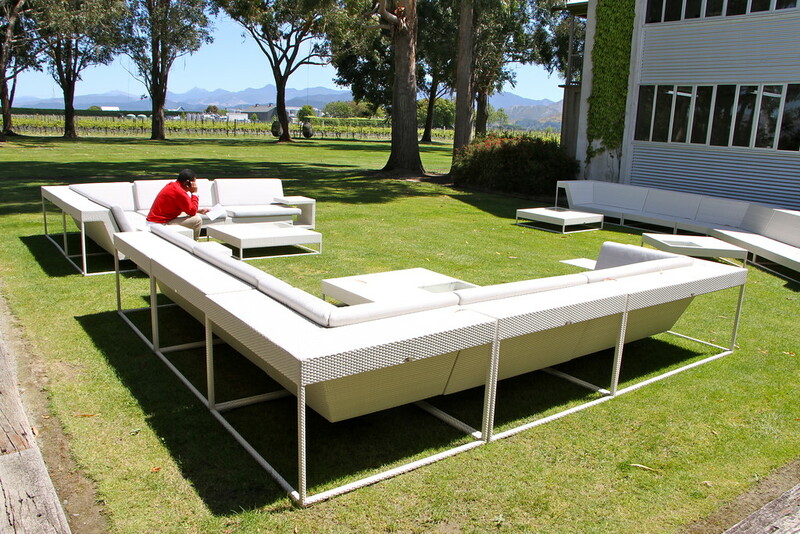 A beautiful setting in the vineyards, you can relax on the outdoor sofas enjoying your tasting or sit inside the tasting room, overlooking the barrels in the store. Again we tried numerous delicious wines, and again bought our favourite of the lot (well we did have a couple of weeks left in New Zealand to enjoy them!). Next up on our tour of Marlborough was Allan Scott winery, again a beautiful setting to have some lunch and try some wine. 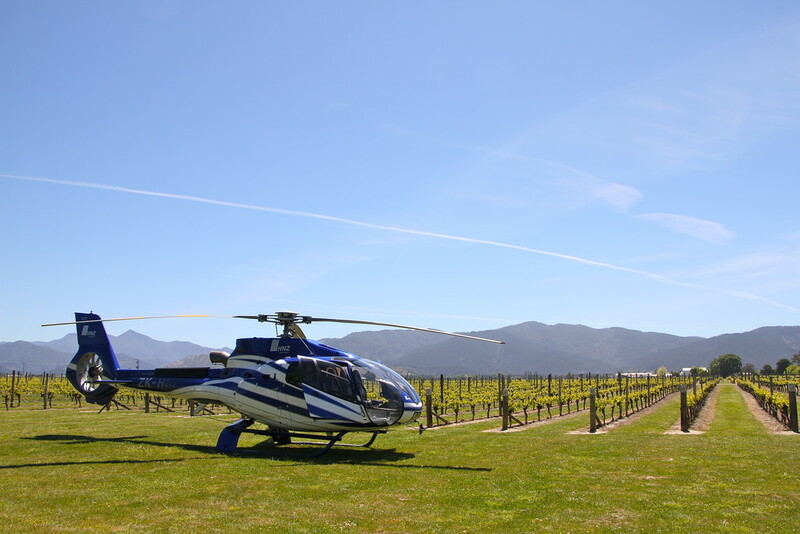 As we were taken through the tasting with our host, an unexpected helicopter landed in the vines adjacent to us! Expecting a VIP to step out, we were slightly disappointed when it was just some other wine buffs eager to get in on the Marlborough wine region action! Perhaps something Bubbly Grape wine tours could offer in the future! 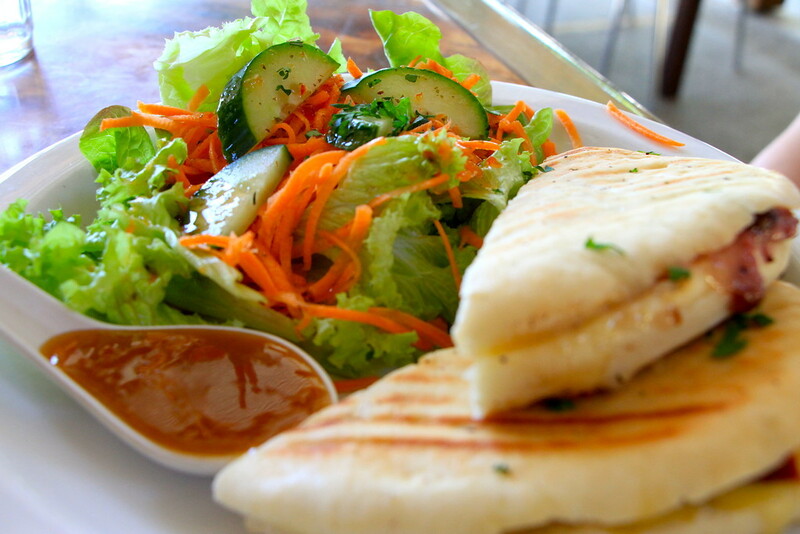 Suitably refreshed (again), it was time for lunch! 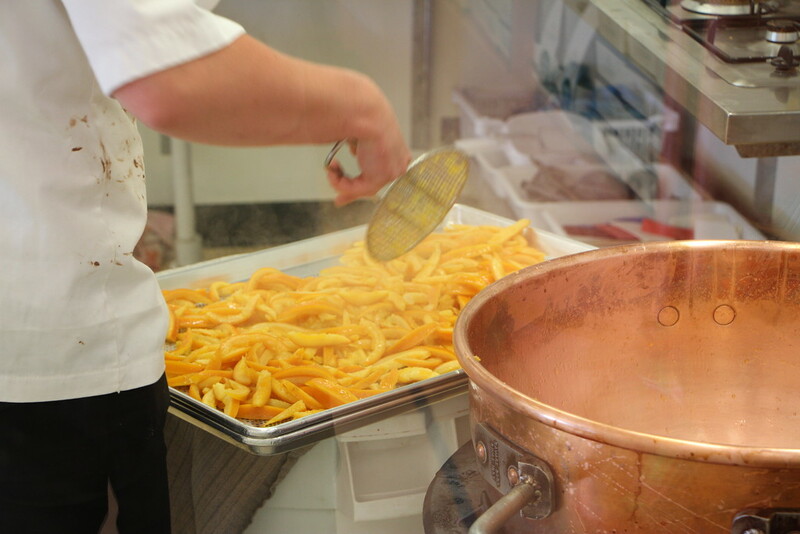 Bubbly Grape wine tours offer a number of options, from a three course meal on the Gourmet Lunch tour, to the Special Reserve Wine Tour where you visit a local cafe for a lighter lunch. 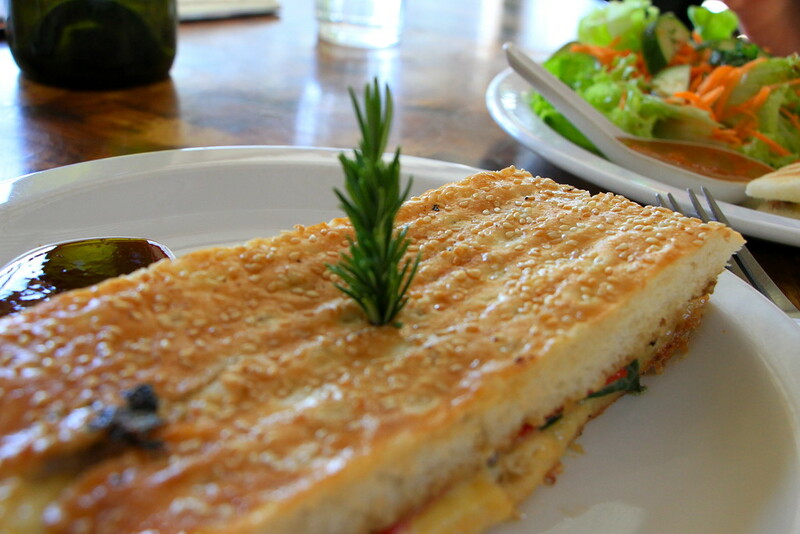 As we were on a budget, we opted for the cafe lunch, and had a couple of hot sandwiches and coffee to prepare us for a hard afternoon of wine tasting. We had two more wineries to fit in in the afternoon, first visiting Bladen winery, where we learnt about the owners and their decision to leave their city lives for a life of wine and finished at our final winery of the day at Hunters, a world renowned winery of the region. And then it was time for home, or so we thought! One final stop off was required, the local chocolate factory! After some delicious chocolate treats, it was time to return to our little campervan. Out of the luxurious Bubbly Grape wine tours van, and away from the delights of the Marlborough region, we were sad to finish our day with our tour group. The Marlborough region is a fantastic region for wine growing, and an even better region for wine tasting! 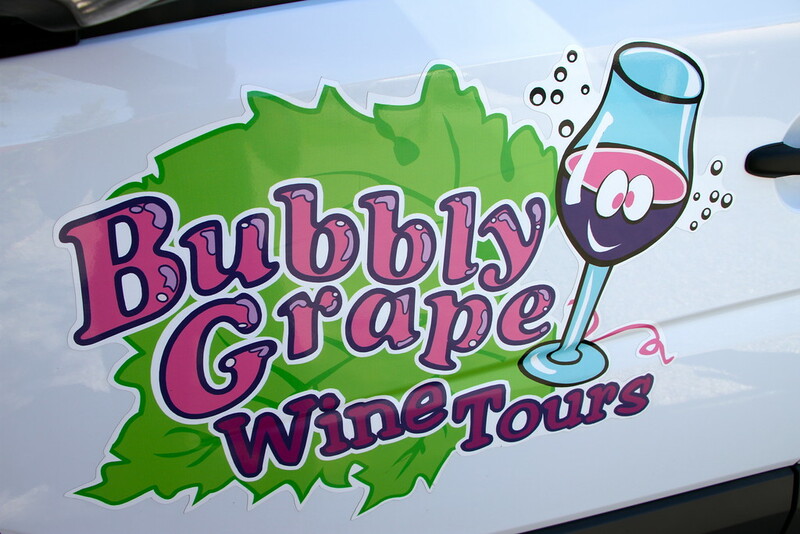 We would highly recommend Bubbly Grape wine tours if you were looking to let someone else do the driving and share some fantastic insights and experience of the local wineries! Disclaimer: We were sponsored guests of Bubbly Grape, as usual all opinions are our own. Looking For Accommodation In the Marlborough Region? If you’re looking for some accommodation options in The Marlborough Region or elsewhere in New Zealand, we recommend you check out Agoda. Whenever we’re making plans for a new destination, we always research the accommodation options first to check what’s available. That’s just our travel style. 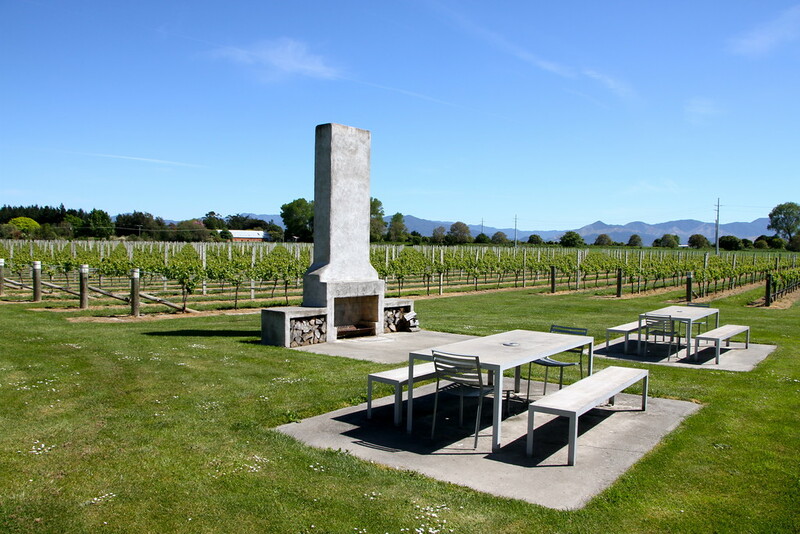 If you want to get some accommodation ideas in the Marlborough Region, search for Blenheim here! Thanks Larry yes it was delicious!